We at 360 Degree Global Equipments Pvt. 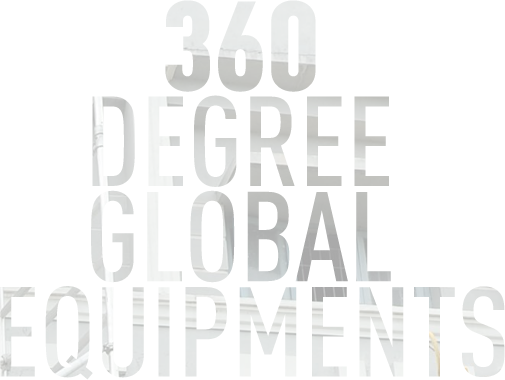 Ltd. engaged in the manufacturing and supplying of Access Equipment’s like Ladders and Aluminium Scaffoldings. We have extensive range of products to offer as a solution to access different heights with respect to the domestic, commercial and Industrial needs of our clients. “Quality, Safety and Precision” are the hallmark of our products and “Innovation and Continuous Improvement” are the corner stone of our Business. Our whole business concept revolves around strongly on one belief that “selling a product is much easier than selling a solution” and we thrive on the later part of the belief. Made from high-quality Aluminium alloy, our products are strong, secure and elegant that can withstand any critical work environment and adverse weather conditions.Our products are manufactured in compliance with the International standards with utmost thrust on the quality and safety aspects of the product. Technically superior production system, supported by state of art machinery helps us to successfully to meet the ever-growing demands of our customers at any given point of time. Among many laurels and recognitions we have received over the years for our product and services, it’s the “BLINDFOLD TRUST and UNSHAKABLE BELIEF” of our valuable clients that ignites our path towards excellence and perfection. 360 Degree Global Equipment’s Private Limited is an ISO-9001-2015 Certified Company. This certificate is the testimony of our perseverance for “Quality and Excellence” in everything we do. All our products are designed and manufactured as per the BS EN standard. Our Aluminium Scaffold products are complied with BS EN 1004 and our Ladder products are complied with BS EN 131 standards. BS EN standards are the internationally accepted norms for the designing and manufacturing of the Access Equipment’s like Ladders and Aluminium Scaffoldings.